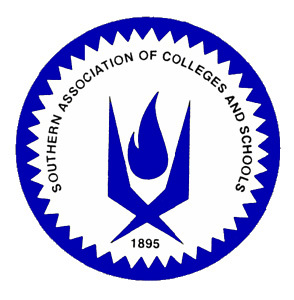 Nolan Catholic High School is a College Preparatory High School (grades 9-12); Established in 1961, Nolan Catholic High School is accredited by the Southern Association of Colleges and Schools (SACS). SACS only accredits schools meeting their rigorous academic criteria, including a commitment to continuous improvement. SACS accreditation also ensures that we’re recognized nationally by most regional accrediting bodies, and that our students will benefit from an expert teaching staff, comprehensive courses, and quality texts.